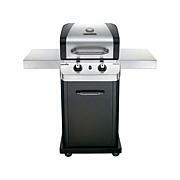 Small in size but big on features, the Patio Bistro brings grilling to your balcony, small patio or far-flung event. Using the infrared spectrum, it offers delectable results with no flare-ups or hot and cold spots. And its small size conceals its large, 245 sq. in. grilling grate and convenient warming rack. 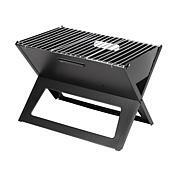 This is a very nice looking and sturdy grill. However, I live in an apartment with horrible electric. It blew fuses everywhere we plugged it in. Just make sure you check your wattage on your It's not the girl, it's my apartment. We can only use one plug to vacuum or we blow a fuse. Very sad. I was excited to finally grill. Serious Grill Guy loves this electric grill!! We are a 1st time user of the Char-Broil Electric Patio Bistro Grill. 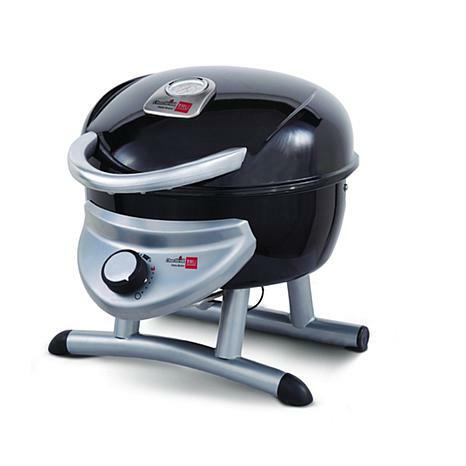 Although I enjoy charcoal & propane grilling, this electric grill is truly amazing! I was skeptical at first, but the taste & the juicy-ness of the meat was to die for! This grill specifically is generated with infrared heat, meaning the limitation of hot air that comes in contact with the food, penetrating the food without drying it out, locking in the natural juices & flavors. The porcelain grates are heavy-duty & easy to clean.Oh darn, you ran out of charcoal or propane, no problem here! I received this as a birthday present from my sweetheart on Valentine's Day. I absolutely love, love this grill & you will too. Seriously, please give it a try! 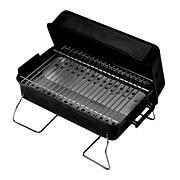 Great outdoor grill without the fuss of having to buy propane. My building does not allow gas or charcoal grills and this grill is perfect. We are very happy with it. This grill is only 1500 watts, not as the advertised 2500 watts. 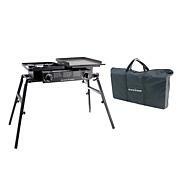 I already have a griddle with those specifications and will just take it outside when I want to grill! The price is outrageous and if you take time to look at your local stores, you will know what I mean. Besides which, the shipping charge is expensive also. Already returned. NOT HAPPY CUSTOMER.